The philosophy of Apex Landscapes & Pools is one of simplicity; our emphasis is to provide you with an enjoyable landscaping experience. We love landscaping, you should too! Founded in 2006, our mission has been to produce the highest quality projects, combining the finest materials and craftsmanship with a level of customer care that is unmatched by our competitors. There are hundreds of different landscaping services available in Melbourne; we tailor our services to suit your needs. Your project will be managed from stage one right through to completion! Our support team will be on hand daily to guide you through our unique building process and to ensure that your expectations of quality, comfort and style are exceeded on time and on budget. The team at Apex Landscapes have extensive experience within the building industry. Our enthusiastic team members share our values and take great pride in their work. Your desired outcome is the highest priority as we strive to produce projects of the highest quality and craftsmanship. Apex landscapes believe integrity is much more than just a word. Everything we do from our first discussion through to completion is underpinned by our open, honest approach. The quality of service and customer care provided will be maintained through open communication and regular feedback. This is delivered during the pre-construction, construction and after sales service areas of your landscaping experience. The combination of your vision and the dedication of our team ensure your project will meet the exacting standards that you expect and deserve. At Apex Landscapes we treat and construct your project as if it were our own. So contact us today to arrange a consultation with the team at Apex Landscapes and let us help you create the lifestyle that you desire. What does a landscape architect or landscape designer in Endeavour Hills, VIC, AU do? 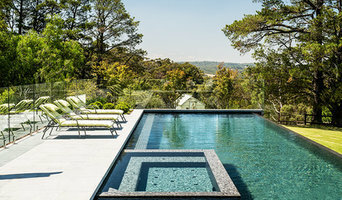 Landscape architects in Endeavour Hills, VIC, AU, who typically belong to the Indian association of Landscape Architects (ISOLA), are trained to develop comprehensive structural plans that include plants, hardscaping, water use, drainage and more. They can also design any structure that will be added to the landscape, such as gazebos, retaining walls and other garden features. Typically, the expertise of an Endeavour Hills, VIC, AU landscape architect can apply to understanding your space and natural environment. They work closely with architects and other contractors to develop your landscape or garden in accordance with the other plans. 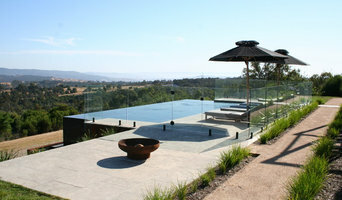 Landscape designers or garden designers in Endeavour Hills, VIC, AU specialise in aesthetics and horticulture. Keeping in mind both style and functionality, a landscape designer will analyze your architecture and garden to produce a plan that may or may not include location and materials for walkways, patios, water features, garden aspects and more. In addition, he will carefully assess your geographic region to choose plants, trees, and flowers that will flourish naturally, as well as address concerns such as drainage, screening and soil conditions. Certain landscape architects and designers in Endeavour Hills, VIC, AU only help with the planning portion, while some may deliver the plans and then oversee a hired landscape contractor. Others follow a design-build approach — take care of both the design and all aspects of the landscape architecture and construction. Why should I hire a landscape contractor in Endeavour Hills, VIC, AU? Don’t have a green thumb to main the lush and lovely grounds that will be the envy of all your neighbours. Hire a gardener or landscape contractor in Endeavour Hills, VIC, AU to create and maintain your garden. 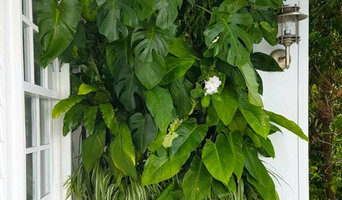 Landscape firms in Endeavour Hills, VIC, AU will be able to bring your outside space to life with flowers, plants, trees, shrubbery, lawns and all sorts of verdant, floral features. Landscaping companies in this category execute gardens that have been drawn up by a landscape designer or architect, while some can also provide design services of their own. Gardeners in Endeavour Hills, VIC, AU, on the other hand, will deal only with lawns, plants, trees and flowers. 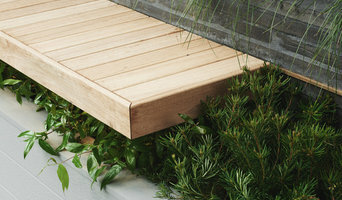 With a thorough understanding of horticulture and will be able to choose plants, garden edging and materials that will complement your home and thrive in the climate. A good Endeavour Hills, VIC, AU gardener will take care of weeds and pests, and perform other tasks such as pruning to keep your garden looking its best. Find landscape firms on Houzz. Narrow your search in the Find Pros section of the website to landscape contractors & architects. You may also look through photos of landscapes to find one you like, then contact the landscaping company in Endeavour Hills, VIC, AU who worked on it.